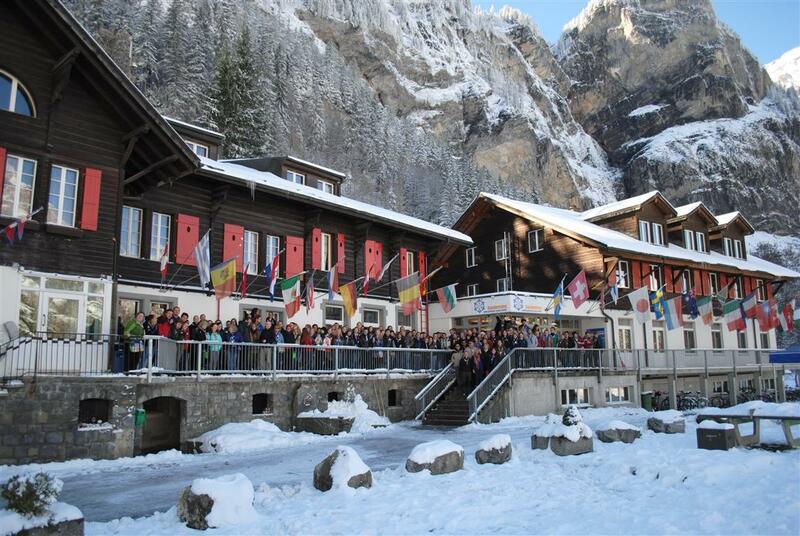 134 Scouts and Guides from more than 40 different countries gathered at the 5th Scout and Guide Academy at the Kandersteg International Scout Centre. Together with them, more than 40 workshops facilitators and planning- and host team members as well as the famous KISC Pinkies make this event an unforgettable experience. 30 different sessions on the overall theme “Embracing change” offer an attractive learning environment. Participants themselves pick those items that they are interested and put together their own individual programme. They were discussing how to design and implement strategies, how to increase the retention of adult leaders, how co-education and growth are linked or how to manage the challenges of succession planning. The workshops used different sets of working methods and participants used twitter #academy2012 to inform others about the content of the session. The website of the event (academy.europak-online.net) was used to communicate all kinds of information before and during the Academy. For the first time in the history of the Academy, it has become a real winter experience. Surrounded by the beautiful mountains, Kandersteg is covered by 30 Centimeters of snow. On Saturday night, participants enjoyed a “Smuggle Game” on the KISC campsite, where the snow, the woods and the campfires offered a true sense of magic. In the mornings, a Buddhist monk from the Dhammapala temple in Kandersteg performed a meditation and in the evening the Rover bar invited to stay sharing and discussing until late in the evening. It has been a fantastic event for participants but also facilitators and planning team members. WAGGGS, WOSM, KISC and the host team of the Swiss Guide and Scout Movement have been working closely together in the planning and implementation of the Academy. As they go home by tomorrow 30th of October, many participants can’t wait for the next Academy. The venue of the 2013 Academy will be announced soon.